Liftactiv Serum 10: Does Liftactiv Serum 10 Work? 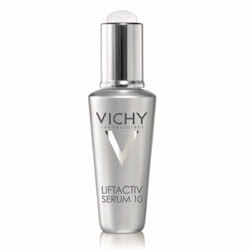 Liftactiv Serum 10 is the breakthrough anti-aging formulation from Vichy Laboratories. It uses the featured active ingredient Rhamnose which has been shown to slow down the development of aging signs on the skin. 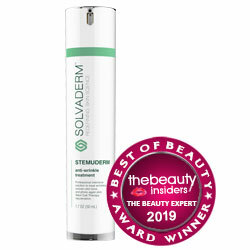 The formulation is designed to improve the skin’s smoothness and firmness in just 10 minutes after application. It also helps reduce the appearance of pores while making the skin more radiant. The formulation also uses hyaluronic acid which is one of the most powerful natural moisturizers available today. Vichy Laboratories was founded in France in 1931. It is known to use mineral-rich volcanic water in their wide range of skin care products. The skin care brand is now under L’Oreal USA. One container (1 fluid oz.) is being sold online for $52. 10% Rhamnose – This is the featured ingredient of Liftactiv Serum 10. It is a special form of plant sugar that has been shown to offer skin rejuvenation effects. It fights the different signs of aging especially fine lines and wrinkles. Hyaluronic Acid – It is a powerful moisturizing ingredient that has immediate hydrating and plumping action on the skin which helps reduce the visibility of aging signs quickly. It also helps slow down the skin aging process, thus helping prevent premature aging signs on the skin. Mineral-Rich Volcanic Water – This is at the heart of all formulations from Vichy. It is known as special healing water that contains 15 minerals and antioxidants which helps nourish and soothe the skin. It is said to strengthen the skin’s natural defense system while enhancing its ability to repair itself. Apply Liftactiv Serum 10 in the morning and evening after cleansing the skin. Just apply a couple of drops on your fingertips and smooth it across your face and neck. Massage gently onto the skin until it is thoroughly absorbed. It can be used alone or applied before a moisturizer for extra hydration. Liftactiv Serum is a good anti-aging formulation that uses a powerful natural anti-aging ingredient. It is very popular and there are many people who have tried it saying it is effective. On the other hand, there are also negative feedback and some people say they are sensitive to the formulation. Therefore, the product is not for everyone. It is still worth a try because the product is from Vichy which is under the L’Oreal USA group.